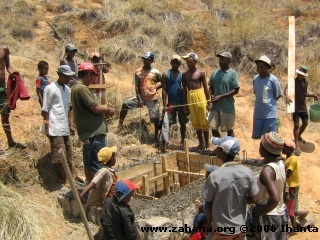 To build a permanent water system a source of fresh water, flowing all year round, was identified on Bavato Mountain next to the village. 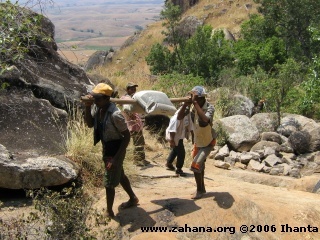 A step hike up for almost three hours, all materials that could not be made on site, like cement, tools, iron bars and wooden boards for the concrete foundation needed to be carried up the mountain on foot. 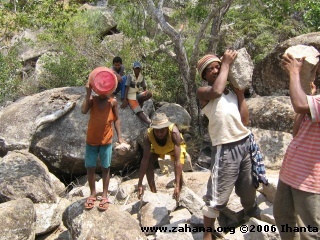 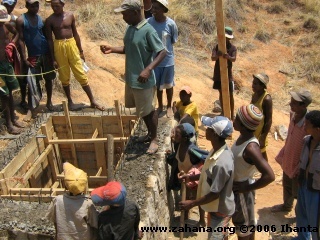 All labor involved in building the entire water system was contributed by the villagers without any pay as their contribution to their community development. 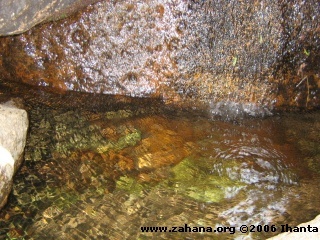 The water, close to it spring at the mountain. 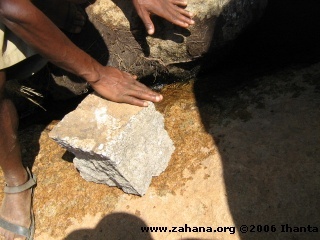 This water is collected in a stone reservoir. 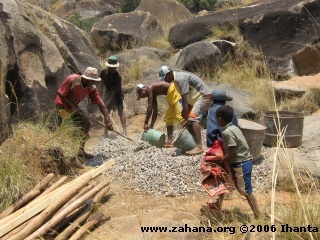 A pipesystem brings thewater for the reservoir to the village in a gravity fed water system. 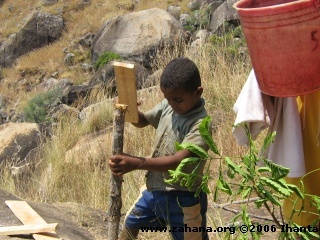 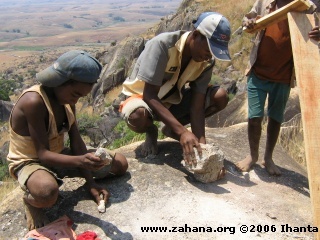 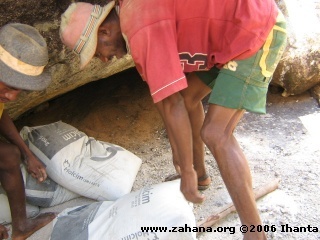 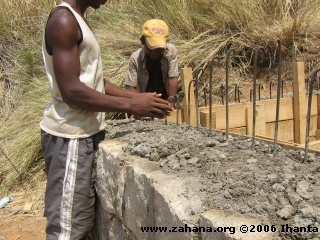 The stone blocks needed for the construction of thetank are made by hand on site. 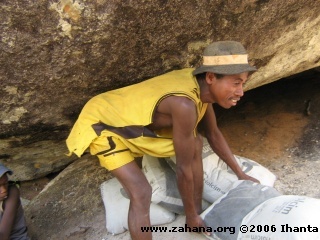 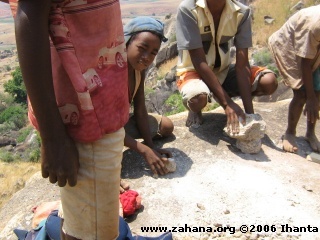 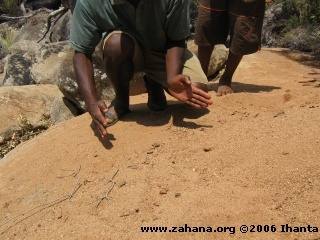 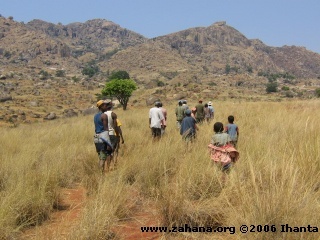 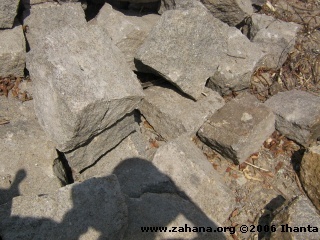 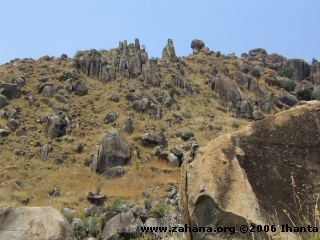 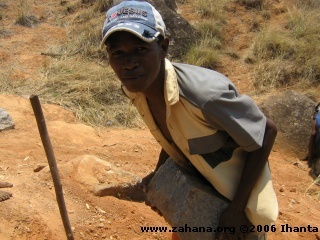 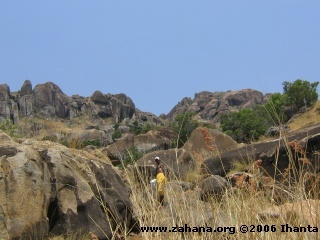 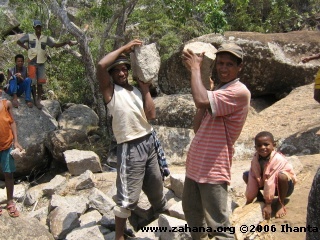 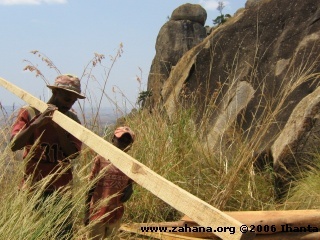 The materials are readily available with plenty of granite rocks around. 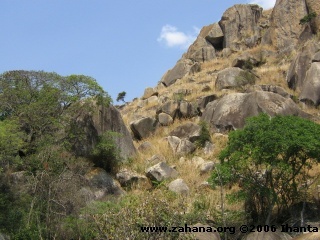 With the help of the water engenders the water storage tank on the mountain is built to last with concrete and granite blocks. 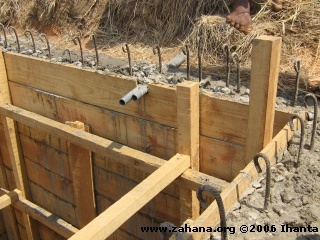 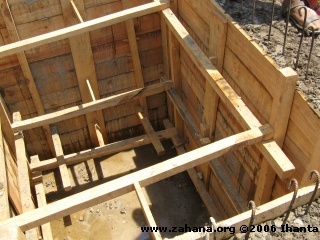 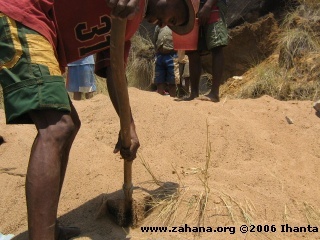 This will serve as the main holding tank for the village’s permanent water supply.